Celebrating its 16th anniversary, Opera in the Park is Madison Opera’s gift to the community. In beautiful Garner Park, the stars come out in the sky and the light sticks glow in the audience while singers from our mainstage season share their favorite opera and Broadway numbers. It is quite literally a night like no other. 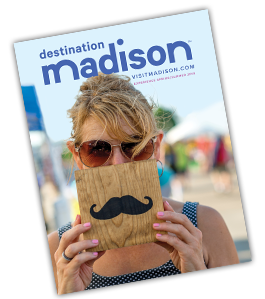 Come join 15,000 of your neighbors for a Madison summer tradition. Performed by the outstanding talents of the Madison Opera Chorus, the Madison Symphony Orchestra, and some of opera’s brightest stars, Opera in the Park is a free community event and perfect for audiences of all ages! The rain date for Opera in the Park will be Sunday, July 23, 8 p.m.